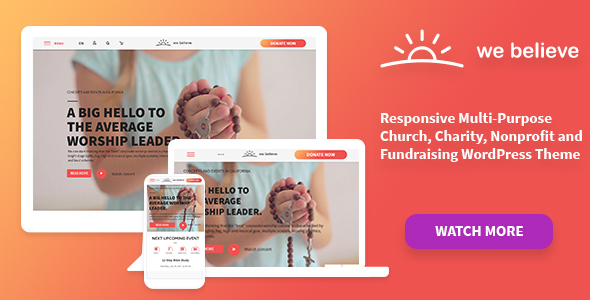 Responsive Multi-Purpose Church, Charity and Fundraising WP Theme for your website! 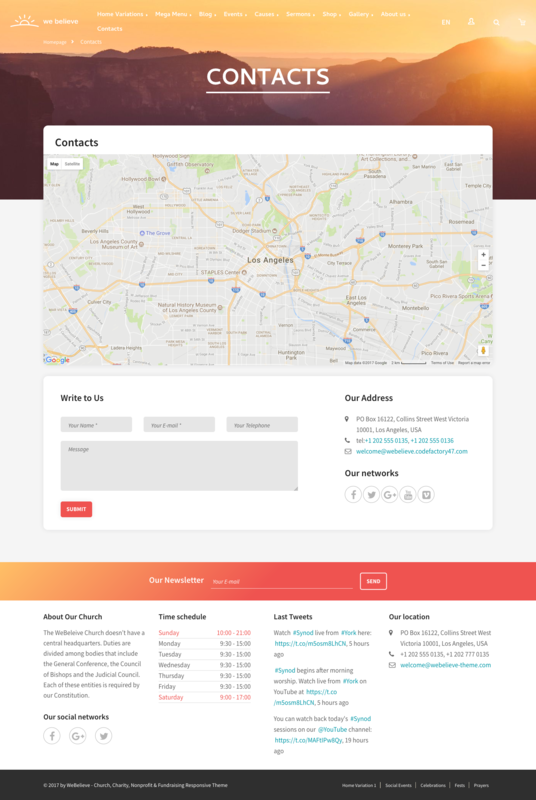 WeBelieve is a WordPress Theme designed & developed for for churches, prayer groups, christian, fundraisers, charity and non-profit organizations. It is fully responsive theme based on Twitter Bootstrap framework that makes it available for all screen sizes from the bigger ones to smartphones. Its not only responsive whereas it is retina ready also – no blurry images on your HiDPI and retina devices. 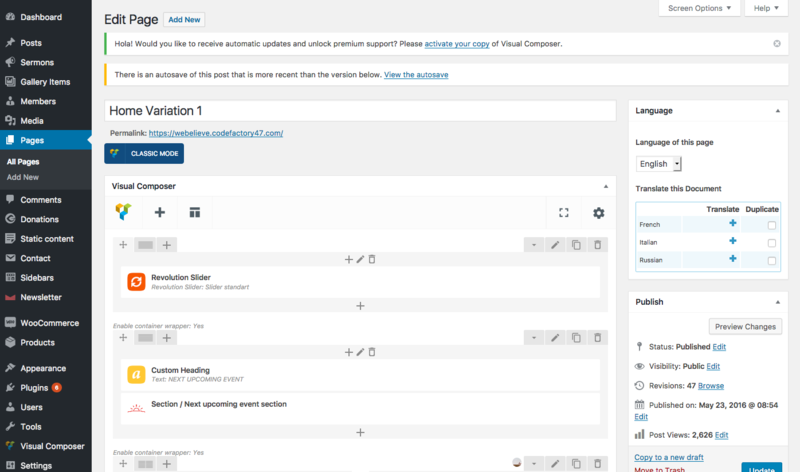 WeBelieve is fully integrated with the visual composer. This awesome page builder lets you to create complex layouts of your pages and posts with simple drag-n-drop interface. 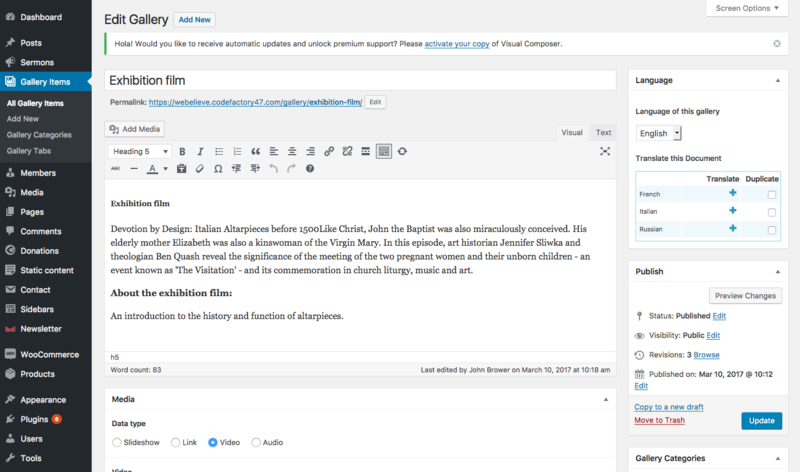 WeBelieve is well documented and easy to operate and use the integrated features and plugins. The careful support provides the detailed research of each case and providing the best support for your particular case. We have purchased a number of themes on Themeforest but have been disappointed with their execution. The WeBelieve theme has been the best of all. 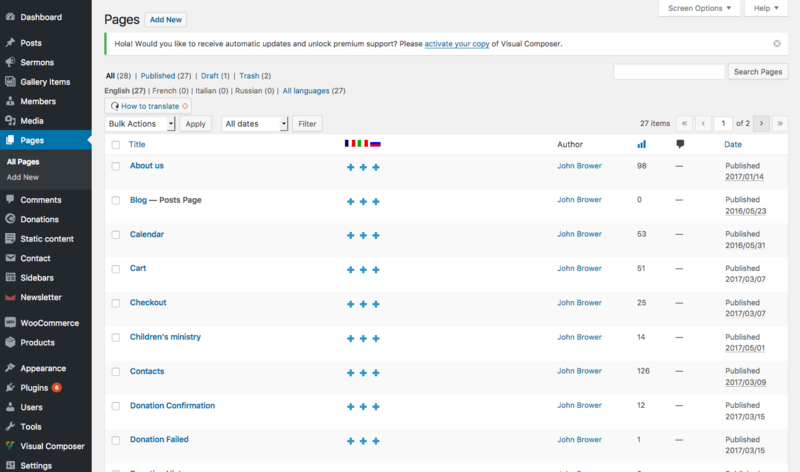 A robust and well designed theme with a great multiplicity of options. Looks great, works great. What more can I say. 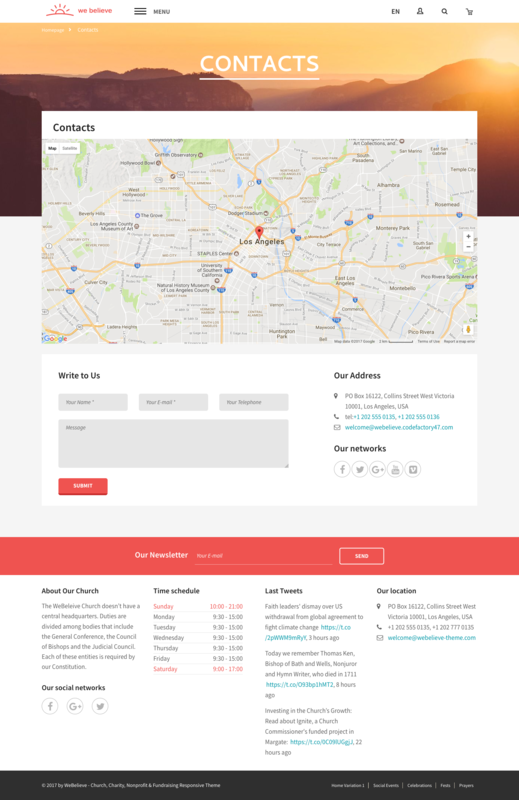 WeBelieve church wordpress theme is fully-responsive to be accessible when launched on smaller devices like smartphones and tablets. With high-resolution fonts, icons and backgrounds, it is possible to enjoy the theme even on retina display devices. Spread your ideas worldwide in any language. 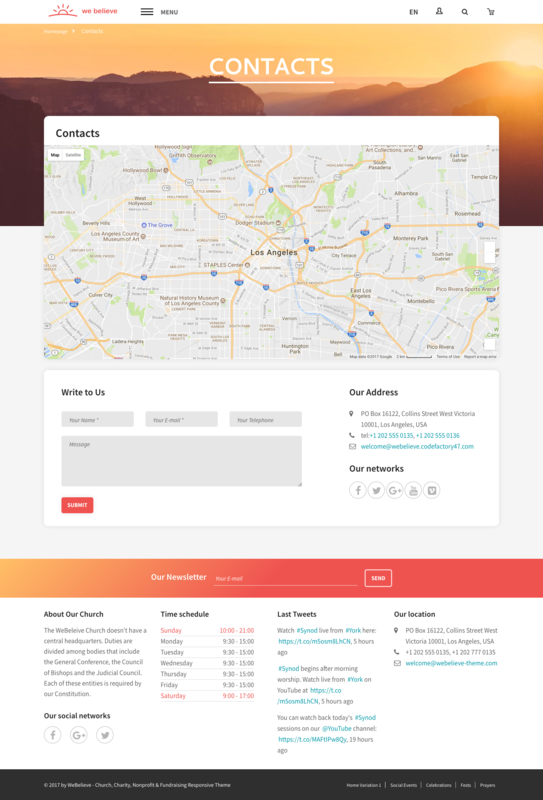 Since our theme supports WPML – the wordpress multilingual plugin, you can reach more people to tell your church mission in the language of your visitors – just translate your message and add it on your website. 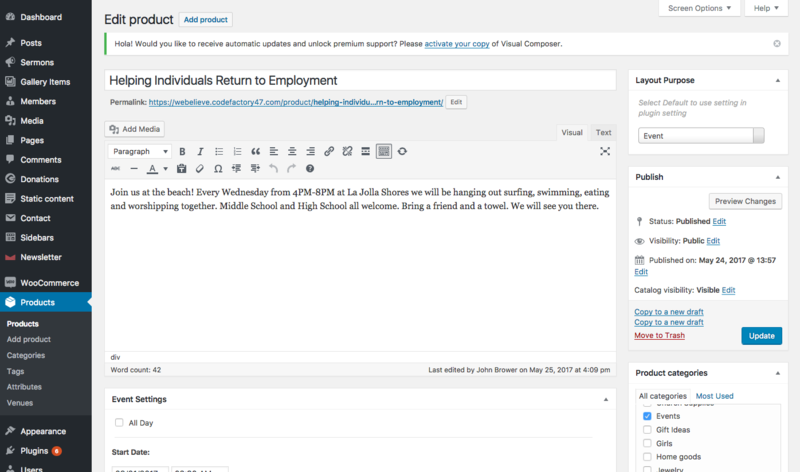 Theme provides unique opportunity to be highly customizable, to serve the ultimate needs of the organization. 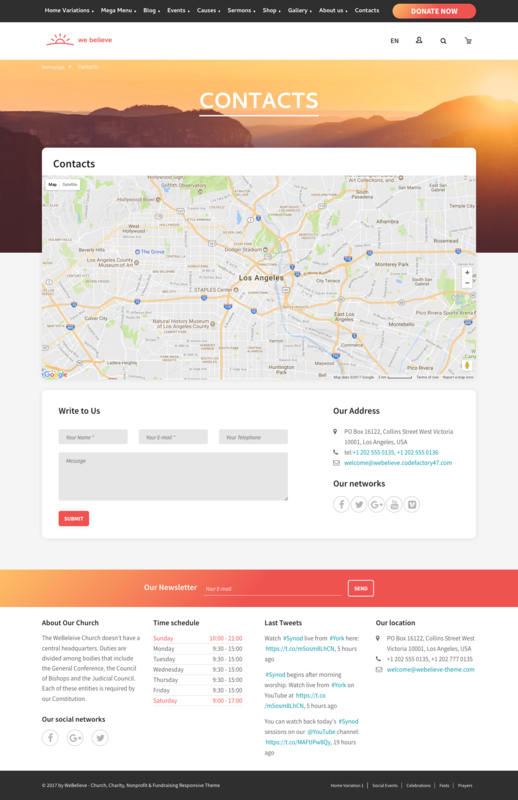 With 3 different design layouts for churches, charity bodies and fundraising foundations, WeBelieve theme can be an universal instrument for specific destination. Over 20 unique sections, allow maximum customizability for the best results. Share your organization media gallery using the theme’s features. Create multiple albums, sort your media. The gallery features are fully responsive and adapted for use on mobile devices. Masonry and Isotope features make WeBelieve theme one of the most customizible on the market. Capitalize on the event management sections that allow you to publish multi-day church or charity events, locations service times and various countdown timers. The event calendar allows to set up the status of the events, to add recurring or occasional events. 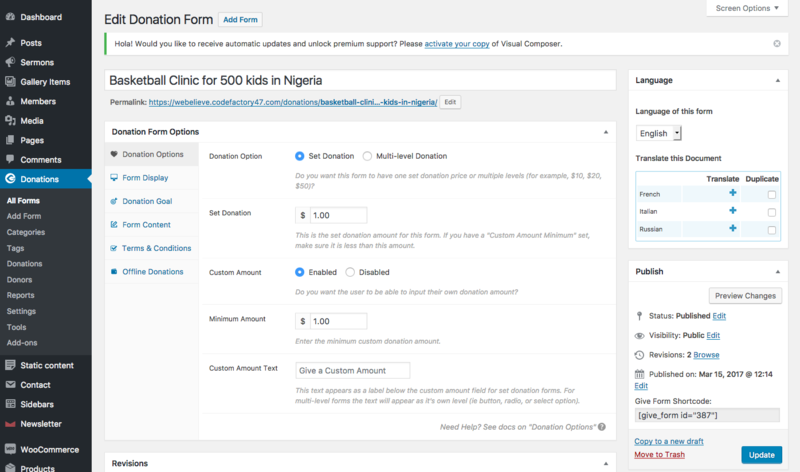 This option serves best for scheduled church, charity and fundraising events. 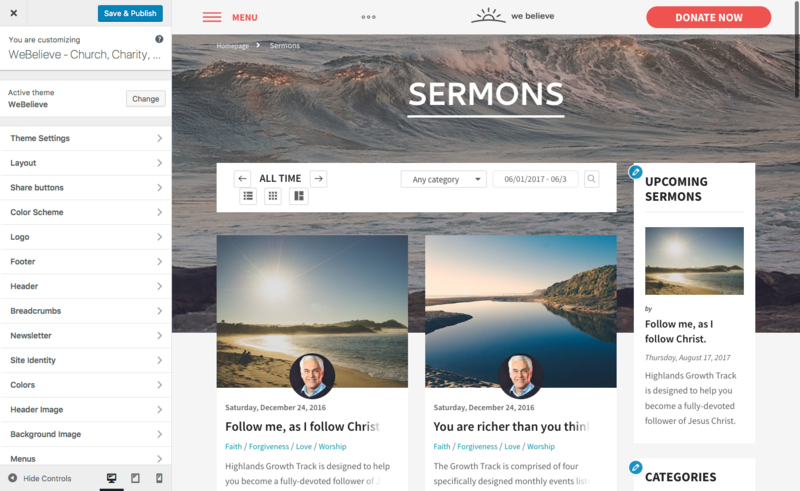 The Sermon Manager (Podcasting Sevice) allows to create the Sermons with various media types at once. One Sermon (Podcast) can contain a locally hosted or uploaded on video hosting (YouTube, Vimeo) video, audio recording, playable directly on the page or downloadable, and the pdf document with a transcript of the podcast. The theme is integrated with the most customizable e-commerce platform. Irreproachable design of the WeBelieve theme with the functionality of WooCommerce makes fundraising successful. Donation and subscription management, ticket sales and inventory tracking – everything is designed in the most convenient way to sever both management and user sections. 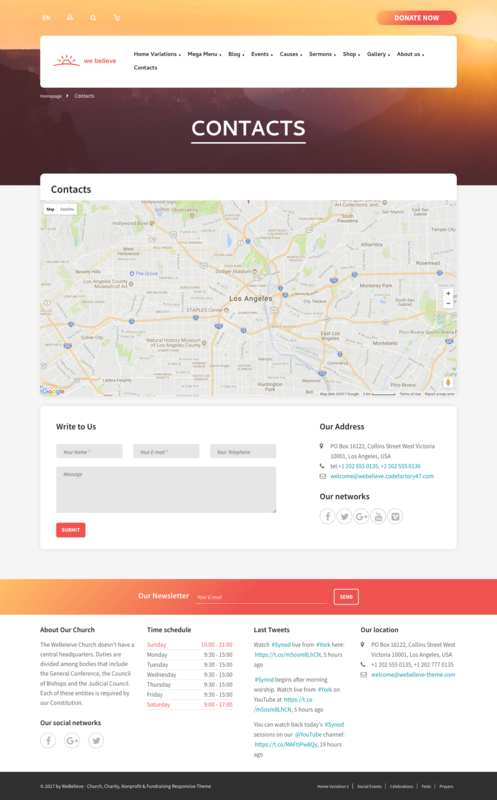 Church Theme installation never was easier before! With built-in installation wizard you will no more waste your time on theme installation. Just run the setup and follow the installation steps. WeBelieve Church theme has built-in integration for the fulfillment of the most needs the church or charity organization may have. 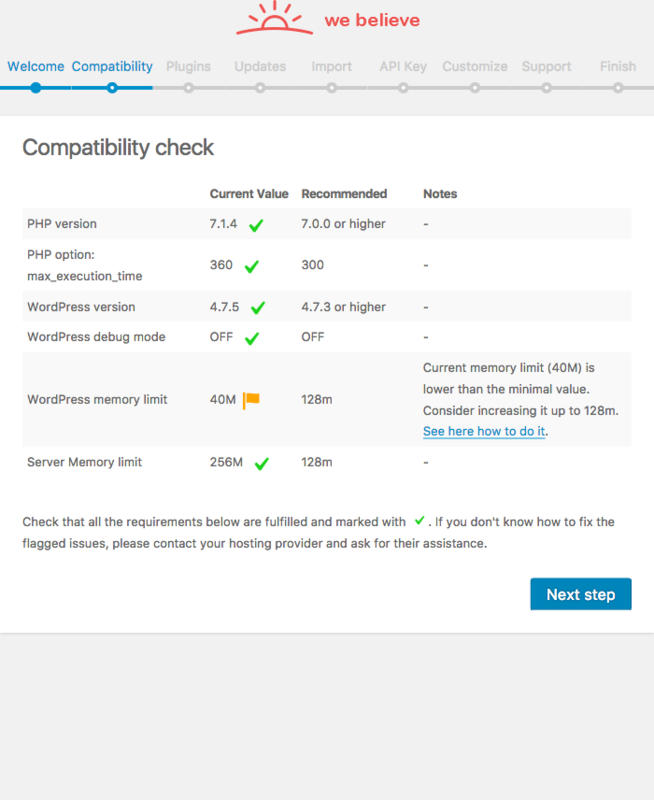 WPML – Multilingual plugin. Translate your ideas in multiple languages! 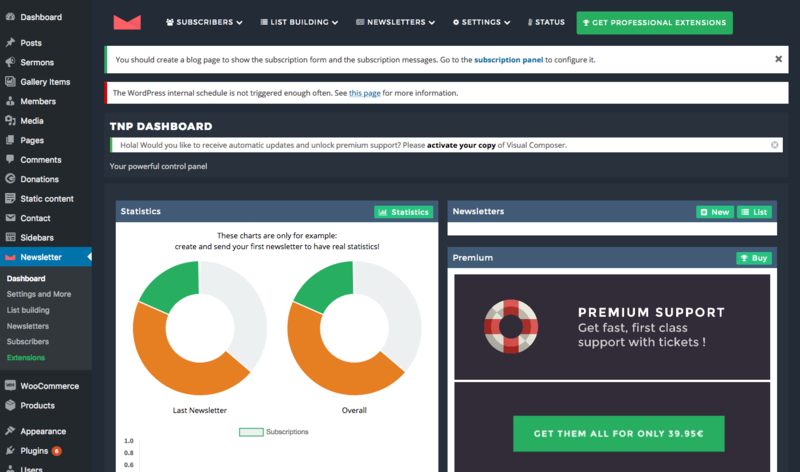 WP Social Plugin – Great integration with social networks. WooCommerce – Perfect and easiest online store. Sell tickets for events or special charity products, with integrated WooCommerce it’s very easy and convenient. Unlimited colors and Layouts: You can change whole color theme of your website in just a few clicks. If you need support or any question related to the theme, don’t hesitate to ask us for any purpose. Get the useful and proper advice to save your time so valuable for your church, non-profit or fundraising organisation.